How to watch Wallace & Gromit: A Matter of Loaf and Death (2008) on Netflix Canada! 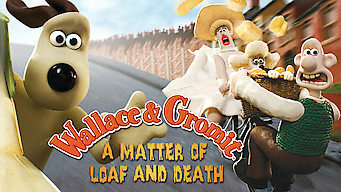 Yes, Wallace & Gromit: A Matter of Loaf and Death is now available on Canadian Netflix. It arrived for online streaming on February 1, 2019. We'll keep checking Netflix Canada for Wallace & Gromit: A Matter of Loaf and Death, and this page will be updated with any changes. Dimwitted Wallace and his clever pooch, Gromit, open a windmill-powered bakery. But danger looms when local bakers begin disappearing without a trace. A goof and his clever mutt go green with a windmill powered bakery. When bakers start disappearing, thing get sticky.